It is very common for dogs to instinctively guard resources that are important to them including food, toys, beds and people. 'Territorial aggression' addresses a similar need, but on a much larger scale, and often occurs along boundaries of territory that the dog lives in, such as a yard or home. Dogs that are territorial often exhibit warning, defensive and offensive behaviors such as barking, running fence lines or boundaries, charging and sometimes biting whoever or whatever ‘invades’ the dog’s perceived territory. 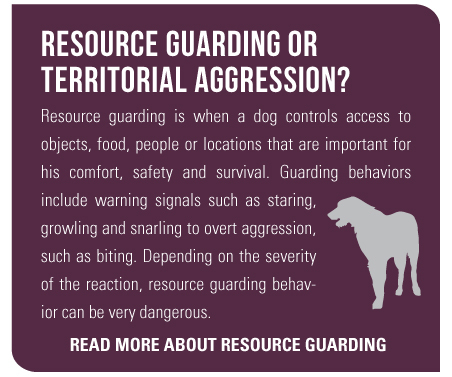 Dogs that are territorially aggressive are often labeled as dominant, but like resource guarders, these dogs are most often insecure, controlling who has access in order to be safe and survive. 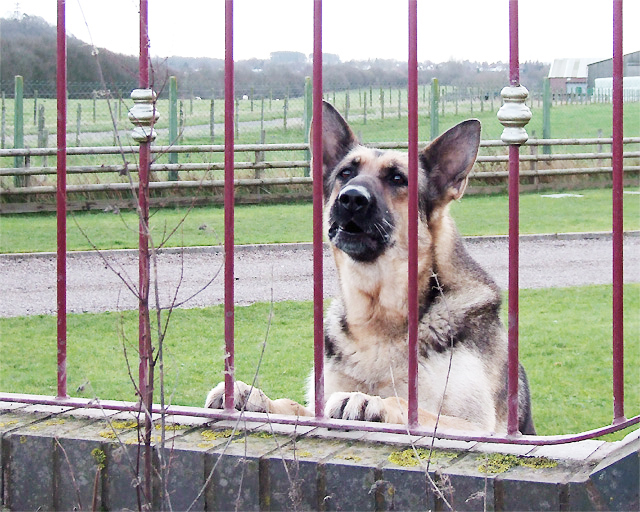 Any unwanted visitor on the dog’s territory is seen as a threat to that safety. Should I Train My Territorially Aggressive Dog Myself? If your dog is aggressively protecting objects, people or territory, it is crucial to utilize the help of a qualified positive trainer. 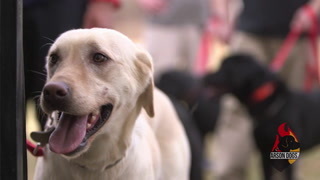 A trainer will teach your dog how to cope better in these situations, as well as use humane methods to stop negative behavior. They will quickly identify your dog’s triggers and help build his confidence so he no longer feels the need to guard and protect. Work on desensitizing your dog to triggers that set off the aggressive response, whether those triggers are a dog, human, or other stimulus approaching your dog’s environment. Give you workable management strategies to ensure your dog is unable to practice the negative behavior again in the environment and other situations. 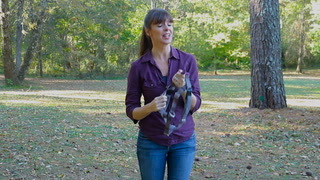 Develop a teaching plan that encourages your dog to listen to you and respond to your cues. Teach valuable impulse control skills to modify reactivity. Teach your dog not to run boundaries. 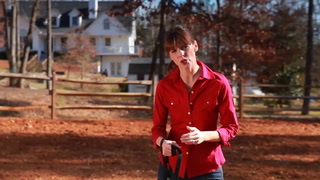 Dogs that are left outside often indulge in fence running behavior that is positively reinforcing for them. Help your dog accept the approach of people or other dogs onto his territory and relax in an invited person or dog’s presence. 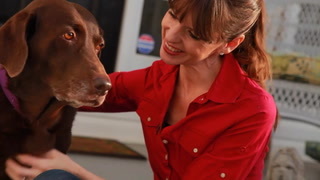 Give tips on keeping your dog and guests that come onto your property or into your home safe at all times. A dog that is territorially aggressive can be very dangerous and a huge liability for homeowners. If the behavior goes unchecked it is likely to increase in severity putting any visitor at risk. The best course of action is to properly manage your dog’s environment so he can no longer practice the behavior, while increasing his confidence around people or other dogs on and off his territory.